It is September 1944 and World War II is raging in Europe. To get an advantage on the field, Nazis are experimenting with artificial vampire technologies, they are still far away from achieving their initial goal, but even the intermediate stages of such researches are possesing a great threat to The anti-German coalition. 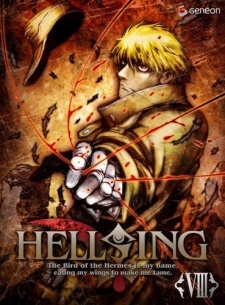 In an attempt to stop the Nazi project and to protect England and The Allies current head of the Hellsing House, Sir Arthur Hellsing, is sending his best agents—Walter C. Dornes and Alucard—into German-occupied Poland where monstrous experiments are being conducted. Hellsing: The Dawn Specials can be found on the bonus discs, bundled with Hellsing Ultimate Limited Edition volumes starting from volume 8.